Cero produces clean, uniform, and ultra-thin lines for maximum light-filled spaces that connect the interior to the exterior. At NanaWall, we are known for our superior engineering and attention to detail, and cero demonstrates this perfectly. By offering four distinct sill types, we’re insuring infinite customization options for any project. NanaWall announces four sill options for its minimal framed large panel sliding glass wall system, cero®—Higher Weather Performance Sill, Flush Sill, Low Profile Saddle Sill and new Low Profile Saddle Hybrid Sill. Through these four sills, NanaWall not only offers the most options for minimal sliding glass walls in the industry, but also the shallowest in order to address the needs of both the American commercial and residential construction markets. The Higher Weather Performance Sill features a stainless steel track that sits above the water table to prevent corrosion, and a specially engineered cascading water management system so water can be wept to the face of the panel or down below. The Flush Sill lies flush against surrounding floor, virtually disappearing and is designed for use in protected areas or interior applications. The Low Profile Saddle Sill is the shallowest option, which is recessed at 7/16-inches (11 millimeters) and reduces sheeting rain from entering the interior. 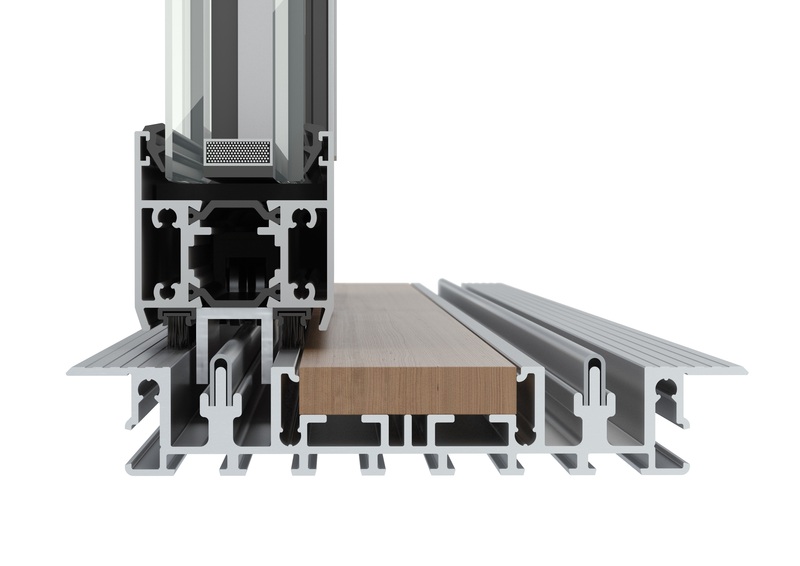 Lastly, the new Low Profile Saddle Hybrid Sill is a proprietary combination of the Low Profile Saddle Sill and Flush Sill, designed to work with varying interior and exterior finish floor heights. Cero features the largest panes of glass available from NanaWall and is available in either double-glazed (compatible with all four sills) or triple-glazed options (Higher Weather Performance Sill only) depending on thermal performance needs. It offers pure architectural minimalism through its clean, uniform and ultra-thin lines for maximum light-filled spaces that connect the interior to the exterior. The panels open and close with ease (automated option available) and smoothly glide on concealed stainless steel tracks on encapsulated and self-lubricating rollers, flanked by double-sided brushes to remove debris from the track. Cero is offered in 50 standard colors with over 200 colors available in powder coat and anodized finishes; custom-matched colors and simulated wood effects are also available. The Flush Sill lies flush against surrounding floor, virtually disappearing and is designed for use in protected areas or interior applications.